Accepting the Settlement Offer - Now What Do You Do? Accepting the Settlement Offer… Now What? You are here: Home / Have You Been Injured in a Car Accident? 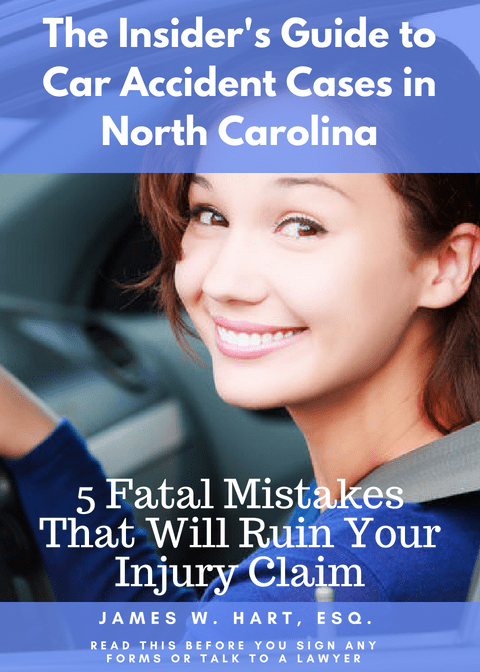 / The Ultimate North Carolina Auto Accident and Personal Injury Claim Guide / Accepting the Settlement Offer… Now What? Many people mistakenly think that accepting the settlement offered by the insurance company is the where things start to get easier. In other words, they can see the proverbial light at the end of the tunnel. When you settle a personal injury or auto accident case, you are opening yourself up to a pandora’s box of issues that could surprise you, deny you much needed benefits, or even expose you to personal financial liability. This is another area where a personal injury lawyer can provide you with a great deal of insight and guidance to help you avoid any potential landmines. 1. Failing to obtain consent from your own insurance company before settling with the at-fault person’s insurance company. Whether you are likely to file a claim under your underinsured motorists policy or not, if you fail to obtain a written consent from your own insurance company before settling the case with the other driver’s insurance company, you will find that your own insurance company can lawfully deny your claim for UIM benefits. 2. Failing to account for the repayment of your medical bills when settling your case. If your medical bills were paid by an ERISA health plan, or Medicare or Medicaid, then those insurance companies have a right to be paid back for the bills that they paid. This is a legal process called subrogation and it is very complicated. If you fail to adequately consider the payment of these bills when you settle you case, you could be left with no settlement money or subjected to a Federal Lawsuit or both. 3. Failing to account for the payment of medical providers that were never paid while your case was pending. Just like you may have to pay back your health insurance for the money they paid on your behalf, you will also have to pay your health care providers for the services they rendered to you while your claim was pending. In addition, they may have what is called a “medical lien” on your settlement, and if you fail to pay them the amount they are owed, they can pursue legal recourse against you. We highly recommend you contact a personal injury lawyer before signing any settlement paperwork to confirm that you are not making any mistakes in the settlement process. Once you have agreed on a settlement with the at-fault driver’s insurance company, you have obtained a written consent to settle from your own insurance company, and you have resolved the repayment of your medical bills or payment of any outstanding liens, then the next step is to move forward towards finalizing your claim. There are three very important aspects to this part of the process. First, you should send a written confirmation to the insurance company of the amount of the settlement that was agreed to (presumably on the phone). Second, you will receive a release document from the insurance adjuster. You will need to review this release carefully, and if possible, pay a lawyer to review it with you. Finally, you will execute the release and send it back to the insurance adjuster so that they can send you your settlement check. When settlement negotiations get near the end, often times you will be talking to the adjuster directly on the phone rather than sending settlement offers back and forth through the mail or email. Once you have a “meeting of the minds” regarding your settlement, it is important that you confirm the final settlement amount in writing. You will do this by mailing a fairly straightforward letter to the insurance adjuster – an example is show below. Do this promptly, and make sure to make a copy for your records. The insurance adjuster is also likely to send you a confirmation letter. Make sure to compare the information in their confirmation letter is the same as your understanding of the settlement amount. If there are any mistakes or discrepancies between your letter and theirs, you will need to raise them with the insurance adjuster immediately. Pursuant to our phone conversation on [insert date], please accept this letter as confirmation that we have agreed to settle, in full, my above-referenced claim for personal injuries for the amount of: [Agreed to Final Settlement Amount]. Thank you for your prompt attention to this matter. Please let me know if you have any questions. Shortly after reaching a final settlement, the insurance adjuster or their attorney will forward you a copy of their settlement release. Some insurance companies will include a check with this document and request that you not deposit or cash the check until after you have executed and returned the settlement release, but most will send the check separately after they receive the signed release. The settlement release you receive is an important and complicated legal document. Signing this document without reading and understanding the language it contains is foolish. Once you sign this release and deposit the settlement check, you will be unable to seek any additional compensation should you require future medical treatment or benefits. In other words, there are a number of financial and legal consequences to signing the settlement release that should not be taken lightly. You agree that the money paid to you in exchange for the release will fully satisfy any claims you may have against the insurance company or it’s insured. Even though you are waiving any claims you may have against this insurance company, there should not be anything in the release that prevents you from filing a claim against any other at-fault drivers, their insurance companies, or your own insurance company for underinsured or uninsured motorists benefits. One final reminder… signing a legal release will cause you to give up some very important rights. You must understand that there are no “do-overs”. There are legal consequences to agreeing to a personal injury settlement, and you should not enter this transaction lightly and without a full understanding of the rights you are giving up. If you have any questions about your rights, the settlement agreement in general, or your case, you should seek out the help of a personal injury lawyer or auto accident attorney BEFORE you sign the document. After you have reviewed the release, negotiated any necessary changes, and approved the final language, you must make sure you completely understand what it is you are signing. Assuming you do, then you may go ahead and sign the release, make a copy for your records, and send it into the insurance adjuster. Within a week or two you should expect to receive a check in the mail for your settlement. If the insurance company previously sent the check with the release form, then you are now free to endorse the check and cash it.